The Emmy winners 2018 have been celebrated on stage (or at least passed their statues in a hallway somewhere) and we're left with a list that folks will surely be debating until the Emmys 2019 roll around. Productions both new and old received accolades for their efforts, with a notably strong effort for a certain familiar song of ice and fire. 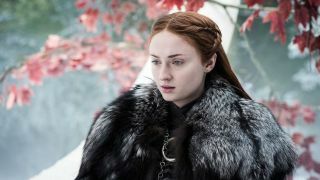 Game of Thrones took top honors for Outstanding Drama Series for its third eligible row in a year (The Handmaid's Tale won in 2017 before Game of Thrones season 7 was up for consideration) and Peter Dinklage once again collected top honors for Outstanding Supporter Actor in a Drama Series. Elsewhere in the land of HBO epics, Thandie Newton received Outstanding Supporting Actress in a Drama Series for Westworld in its only major win for the evening (though it also got honors for interactive media, makeup, and hairstyling). Our other pop sci-fi/fantasy favorite Stranger Things walked away only with an Emmy for Outstanding Sound Editing for its sophomore season. On the comedy side, The Marvelous Mrs. Maisel was the clear favorite for the night, sweeping up six major awards including Outstanding Lead Actress and overall Outstanding Comedy Series. Not bad for an Amazon Video Original which debuted less than a year ago! For the full list of all 122 winners, check out the Emmys' official site.